The summer after her first year in college, Jessica Smith traveled back to her parents’ home in Wyoming and got a job at a coal mine. She sprayed down mining equipment with a fire hose and drove a haul truck. A Wyoming native, Smith grew up immersed in the mining industry. Her father was a mining mechanic, and her grandfather had served as chief of operations for a uranium mine. But Smith had also just taken her first anthropology class at Macalester College in Minnesota, so when she returned to coal country that summer, she began to observe the mining community the way a scholar would. “The whole time I was like a mini-anthropologist,” says Smith, now the Hennebach Assistant Professor of Energy Policy in Liberal Arts and International Studies (LAIS) at Mines. She was taken not only by the miners’ distinctive ways of joking around—they affectionately nicknamed Smith “Lefty” because of her more liberal political views—but also by the deep bonds they formed on the work site. “It was just family out there,” she says. Today Smith, who joined the Mines faculty in 2012, has built her career around exploring the anthropology of those mining “families” that she came to love in Wyoming. She’s still intrigued by the lighthearted camaraderie shared by miners. But she’s also using her academic experience and time spent in the industry to help mining companies survive in a difficult market by adopting practices that are environmentally and socially responsible. 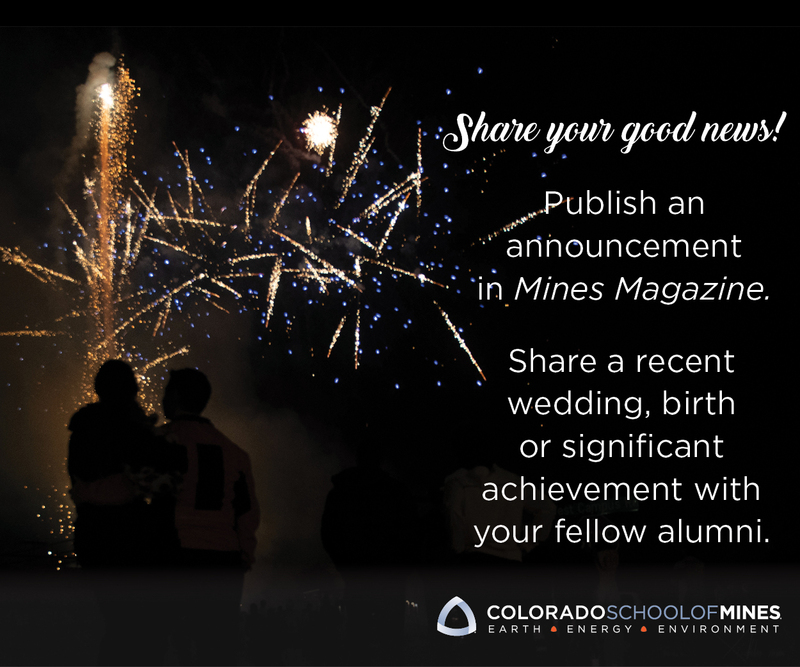 That goal is part of a growing focus at Mines in a field called Corporate Social Responsibility (CSR), which encourages companies to build relationships with the communities adjacent to well pads and coal mines. In classes taught by Smith and her colleagues, Mines students are learning how to form and maintain these relationships, which is an unprecedented feat for an engineering school. The new focus on social responsibility is a popular one with industry leaders who are eager to hire young engineers with real-world experience in designing projects that not only meet company needs, but also keep communities happy. It’s that growing realization—that a corporation’s bottom line benefits when it takes the environment and people into account— that underlies the growth of CSR. The field is “about relationships between companies, individuals, communities, and the government, and how you make those as positive as possible for as many people as possible,” Smith says. The CSR approach to doing business has become more common in the United States, partly because the unconventional energy boom has put oil and gas corporations in closer contact with people than they’ve ever been, Smith explains. That contact hasn’t always gone smoothly. environmental violations. Such arrangements are “definitely the new normal,” Smith says. Managing that new normal, however, may mean that engineers will have to take on new jobs: leading residents on mine tours, attending town council meetings, and learning about the history and culture of a region. These tasks go beyond the technical skills traditionally taught at a school like Mines, and that’s where Smith and her LAIS colleagues come in. In classes like Corporate Social Responsibility, students learn how to think like mini-anthropologists: how do you listen to individuals to better understand where they’re coming from? In September 2015, the National Science Foundation awarded Smith a $450,000 grant to study how professional engineers apply CSR in their jobs. It’s the largest grant ever awarded to a single researcher in LAIS. CSR education is spreading throughout Mines for a reason: these are practical skills that will help engineers succeed in their jobs, says Linda Battalora, an associate teaching professor in petroleum engineering at Mines who is also an attorney and engineer. “That’s what makes this industry so exciting—being able to work with people from all sorts of backgrounds to reach this common goal,” says Battalora, who has worked with Smith and her colleagues to incorporate CSR into her courses. Mines student Boshra Alfowzan and her classmates got a crash course in that kind of cooperation in fall 2015 when they tried to solve a seemingly simple problem: how would you go about drilling for natural gas near the top of South Table Mountain in Golden, Colorado? The assignment was part of Projects for People, a class offered through the Humanitarian Engineering program at Mines. The goal is to introduce students like Alfowzan, a junior in environmental engineering, to the principles of CSR by giving them a taste of the problems that professional engineers face every day. In this case, the class was tasked with designing a well pad that would sit on the local landmark, and they would need to do it while balancing the needs of business with the wishes of the surrounding community. To make the project more real, the course’s instructor, Ben Teschner ’08, MS ’11, recruited Raymond Priestley ’79, a business development advisor for Encana, to play the role of the client. Priestley acted as the president of a faux oil and gas firm called Priestley Energy. The class wasn’t easy, according to Alfowzan. “It puts a lot of pressure on you,” she says. “It’s like you’re an intern trying to prove yourself.” As part of that internship, she and her fellow students hit the streets to talk to people. They interviewed patrons lounging in the Higher Grounds Cafe in downtown Golden, they spoke to staff at the Colorado Department of Transportation, and they consulted representatives from the Jefferson County Open Space System. A native of Saudi Arabia, Alfowzan says she was nervous at first about having to talk to so many people. On the first day of class, she thought, “No way am I going to do this.” Now, she feels a lot more comfortable striking up a conversation with strangers. “I don’t regret it at all,” she says. Alfowzan also picked up the sort of real-world experience that corporations are looking for in new employees, says Priestley, who is also the president of the Mines Alumni Association. “From day one in their careers, young engineers will be assigned to projects where they’re going to have to deal with these sorts of issues,” he says. “If they’re pre-trained or they recognize where to go to get additional support, it’s going to set them apart from the students at other universities.” CSR classes at Mines also present opportunities for alumni to return to the university to mentor young engineers, Priestley notes. The alumni association also plans to form an interest group for professionals who work on CSR-related issues. Jessica Smith, for her part, is working to ensure that students receive educational experiences that reflect the real-life challenges that engineers face in their work. As part of her new grant, she’ll spend the next five years interviewing professionals in the mining industry about how their training prepared them—or failed to prepare them—for working with communities. She’ll use this feedback to improve the way CSR classes are taught at Mines. It’s her way of ensuring the success of the coal mining communities she grew up around in Wyoming.